District rental and housing programs that have helped families avoid and overcome homelessness should be expanded to assist more struggling single men and women, according to a new report from the law students from the Georgetown Community Justice Project. And better case management and intake services are needed to help singles leave homelessness behind. The law students developed their report after conducting a series of interviews with homeless men and women living in low barrier shelters, as well as service providers running homeless programs in the city. The study’s authors shared their findings at a recent meeting with homeless advocates and city officials held at the Wilson Building. “It was important for us to use the voices of the homeless to identify the resource gaps. Since we are outsiders to the community, the personal insights from those who have experienced homelessness were invaluable to our project,” explained Aleshadye Getachew, one of the student researchers. The study, produced in collaboration with the nonprofit SOME (So Others Might Eat) concluded that many single men and women lose their homes as a result of a personal crisis: a health problem, an addiction or the loss of a job. Yet the help that could help prevent a downward spiral into homelessness can be in short supply. Programs such as Emergency Rental Assistance and Rapid Re-Housing have been effective in helping keep families housed, according to the report. The city recently launched one-year pilot programs to provide the same kind of assistance to singles. Those programs should be extended and expanded. according to the study. The shortage of affordable housing in the District also contributes to homelessness. The median fair market rent for an efficiency apartment in the District is $1,176, the report noted. The Local Rent Supplement Program (LSRP) offers rental assistance vouchers to help low-income residents cope with high rents. But as the study noted “currently, this powerful tool primarily benefits families.” SIngles can only qualify if they are handicapped or displaced by a federal project or a federally-designated disaster. “LSRP’s eligibility requirements should be relaxed in order to serve as an effective resource for unaccompanied homeless adults,” the report found. Permanent Supportive Housing, which is currently providing stable homes for 1,300 formerly homeless city residents, should be expanded, according to the study. The report found that singles need more help once they become homeless. But even the assistance that exists can be hard to find, the researchers concluded from their interviews with homeless men and women. 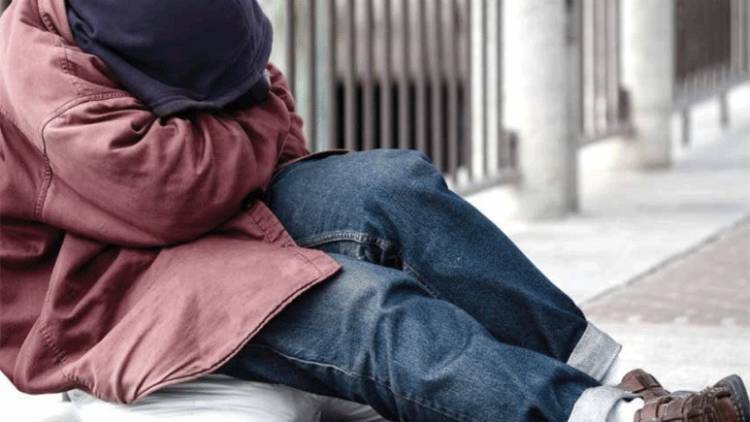 “Unaccompanied homeless adults were often not aware of, or connected to, existing services designated to meet their needs,” the researchers found. And the case managers assigned to help the homeless locate the services and programs that could help them are often overburdened, they added. As envisioned, the CES system would standardize the city’s homeless intake process, identifying available services and allocating services to people needing them the most. The report did not fully explore the ways low-barrier shelters could better assist men and women leave homelessness behind, according to homeless advocate Robert Warren, the executive director of the People for Fairness Coalition. “In low-barrier shelters there should be a process a person can engage in to end their homelessness or joblessness,” noted Warren during the discussion on the report. Yet the study did emphasize the need for employment and job training, even incentives for developers to build affordable housing. “We hope that our recommendations spur new thinking and serve as a catalyst for conversation in the community,” wrote the authors. As the discussion ended, homeless advocates said important questions remain. Without improvements to the low-barrier shelter system, they asked, how can the community address the larger issues that the students found? They said that better policies are needed to ensure homeless men and women do not languish in shelters or on the streets.